Can we agree that I have enough boyfriends? I love you and your spirit! Yes, a Pitt Stop is in the future! Awesome! Thanks so much! I haven’t been able to check my email/blog for the last few days because I was studying for two test, but today, I get only and saw that I had a bunch of referrers to my blog from yours…this was why!! I definitely want to come out and do a pittsburgh run! I’ll have to do some running in the usa races research here soon. I’m hoping to get a lot of states checked off this year! I also clicked that zombie store there and we are DEFINITELY checking that out! hahaha it looks awesome!! One last thing, with this whole virtual run crazy going on, I think you should host one! 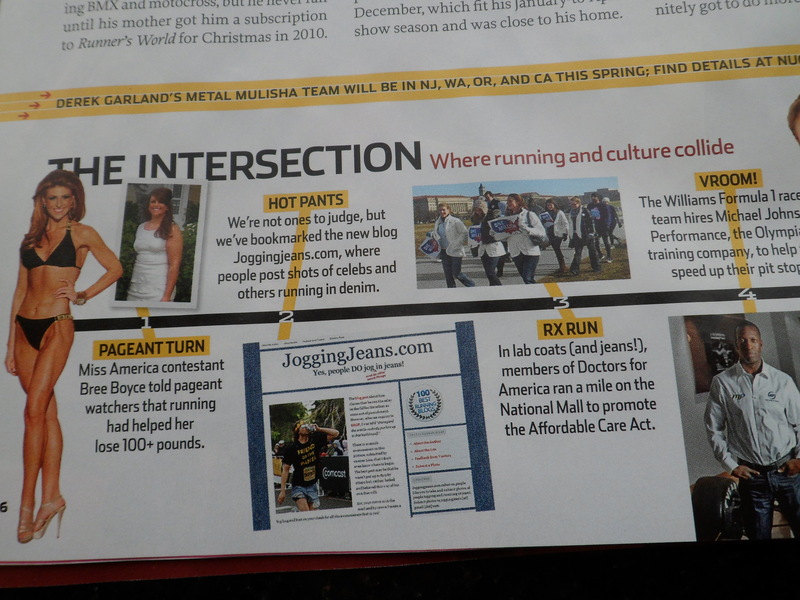 The catch, the people that want to run in your virtual race have to do their 5k (or whatever distance) in jeans of some sort. If you wanted a race fee, then maybe it could go to some good cause, maybe the one that one of your “boyfriends” runs for. Josher, maybe you should resurrect the virtual denim race idea? Aw! Thank you, Jill! I ❤ you, too! And we would totally be friends in real life if we lived closer. Thanks to you, I now want to visit Pittsburgh (and get weirdly happy when someone on a reality show is from there – the way I do if they're from Boston) and I'm also considering running in jorts when I'm 8+ months pregnant because I think that would add to the hilarity. The only sticking point is that I'd have to figure out the right fit (size-wise).